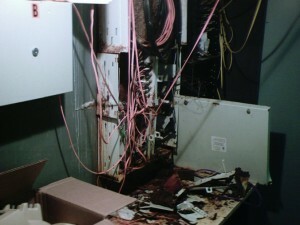 This entry was posted in LIS Staff Interest and tagged downtime, network on April 29, 2011 by Jess Isler. This Sunday, during the regular maintenance down-time window, we will be completing network upgrades in Kenyon Arena, as well as replacing network connectivity equipment in Twilight Hall that serves the small residence houses on the east side of campus. Network service will be interrupted for about an hour in Kenyon, and there will be brief interruptions (a few minutes) of service to various east campus residences as network connections are moved. The rest of campus should not be affected. This entry was posted in LIS Staff Interest and tagged downtime, network on April 21, 2011 by Howard McCausland. Technicians from BTS worked all weekend rebuilding the water-damaged fiberoptic infrastructure in the Sunderland basement wirecloset. Service was restored to Sunderland, the ILC computer labs, and Johnson by midday Sunday; service was restored to Wright Theatre early Monday morning. All damaged fibers were reterminated, with patch panels mounted in a new location where they will no longer be subject to dripping water laden with caustic chemicals. 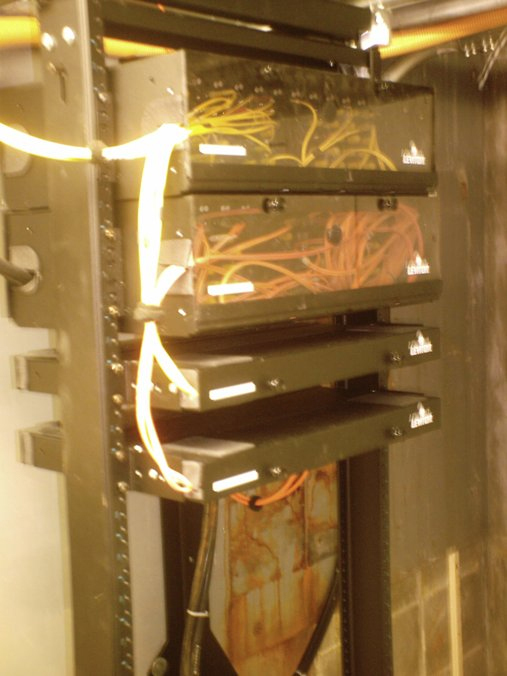 We also used this time to replace and upgrade the ethernet switches serving Sunderland, and to improve the fiber cabling used by Media Services for video and TV feeds from the Sunderland satellite farm. This entry was posted in LIS Staff Interest and tagged Aug 29 2008, Enterprise Applications, LIS, network on August 30, 2008 by Doreen Bernier.